"Church elders, pastors, and lay leaders have led prayer groups of all sizes in homes, schools, churches, online forums, and teleconference. Groups unable to meet during the designated days have chosen an alternate ten days and been just as blessed. Will you lead your church to join us in Ten Days of Prayer 2014?" 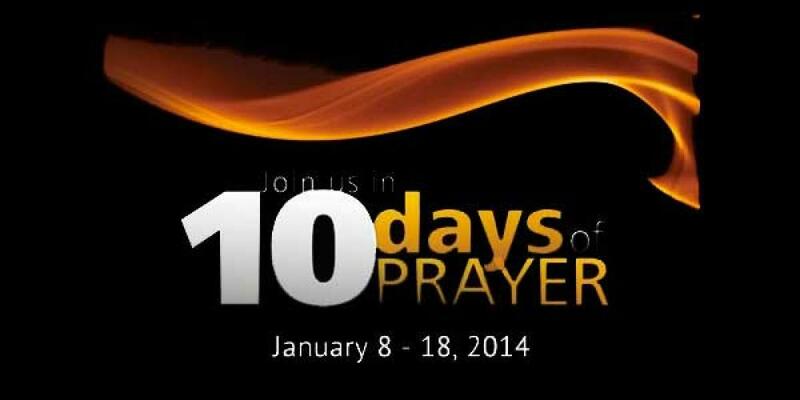 For more information on how you can participate in Ten Days of Prayer visit www.tenDaysofPrayer.org.